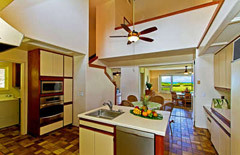 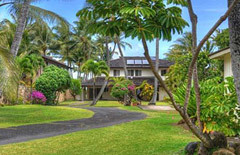 Classic Hawaiian home with high ceilings, sky lights, lots of windows and ceiling fans for natural ventalation. 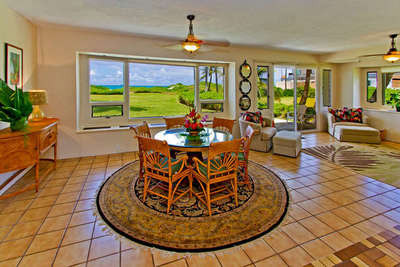 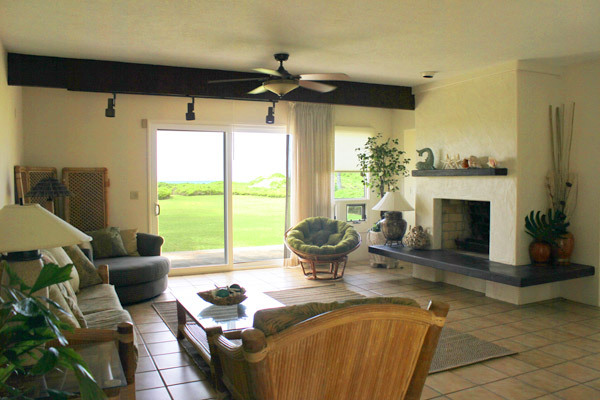 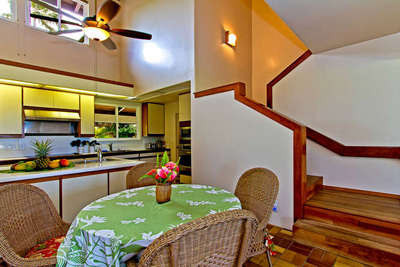 This two-story, simple home is decorated with comfortable tropical furnishings, tile and wooden flooring and has wide large open spaces, complete with oceanview living room and sitting area. 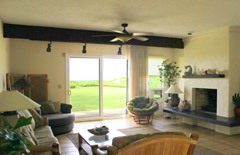 Four of the bedrooms are located upstairs. 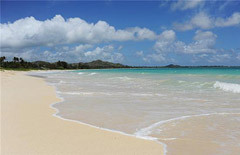 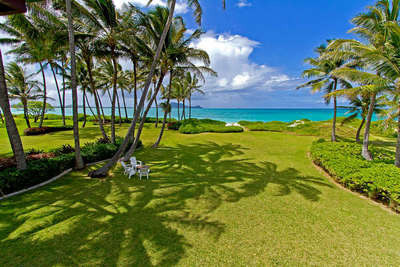 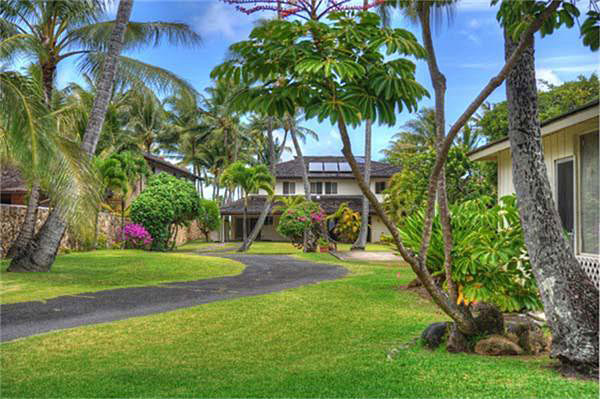 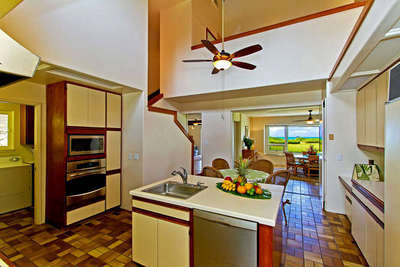 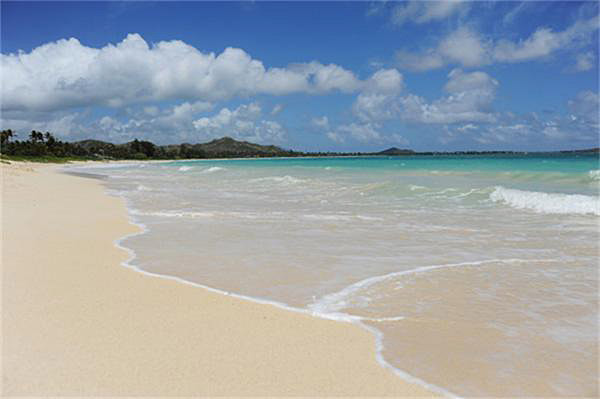 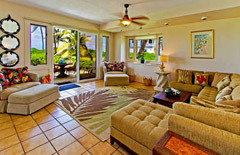 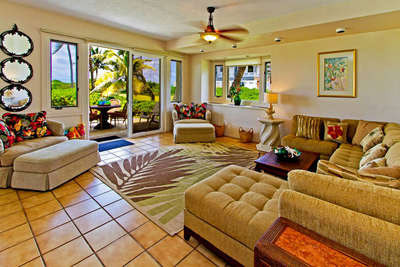 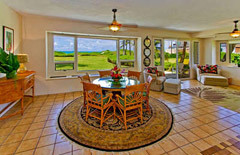 Enjoy the spacious beachfront lush lawn area, or take a stroll on Kailua beach which offers excellent swimming, wind surfing and kayaking year round.